﻿Ghana Initiative Mobile Medical Mission is a non-profit organization that provides FREE medical care and treatment for children and families in Ghana, West Africa. Ghana Initiative MMM is reaching the poor and needy in villages across Ghana by way of a mobile medical clinic. This mobile clinic is managed and operated by a medical team staffed with doctors and nurses from the USA and Ghana. We also have team members who work with children in the villages. They teach them using the Bible and fun and exciting arts and crafts. Ghana Initiative Mobile Medical Mission is focused on seeing targeted communities in Ghana, West Africa transformed with the love and power of the kingdom of God through ministries of compassion and grace. We want to see missionaries trained to spread the Good News of Jesus Christ and watch as NEW churches emerge full of passionate followers of Jesus. Our mission is to provide medical expertise in towns and villages where medical services are lacking, to those with the greatest need. Our educational teams provide opportunities for the children and youth in the communities where we serve. We focus on sharing the love of Jesus with every child and sharing the gift of salvation with those who have never accepted Jesus as their Savior! By providing medical care and Bible training we are building a physically and spiritually healthier community wherever God sends us. We are also building lasting relationships with the people we serve. By serving the people of Ghana in practical ways we hope to bring life to each community and provide resources that may lift individuals and families out of poverty and despair. Our ministry is to plant seeds of life and watch as God makes them grow! A medical mission team will be deployed several times throughout the year to Ghana. While in Ghana the teams will serve targeted communities where the greatest need exists. Teams will revisit the same communities periodically to allow for consistent care, follow-up treatments and to develop and build relationships with the people in the targeted communities. 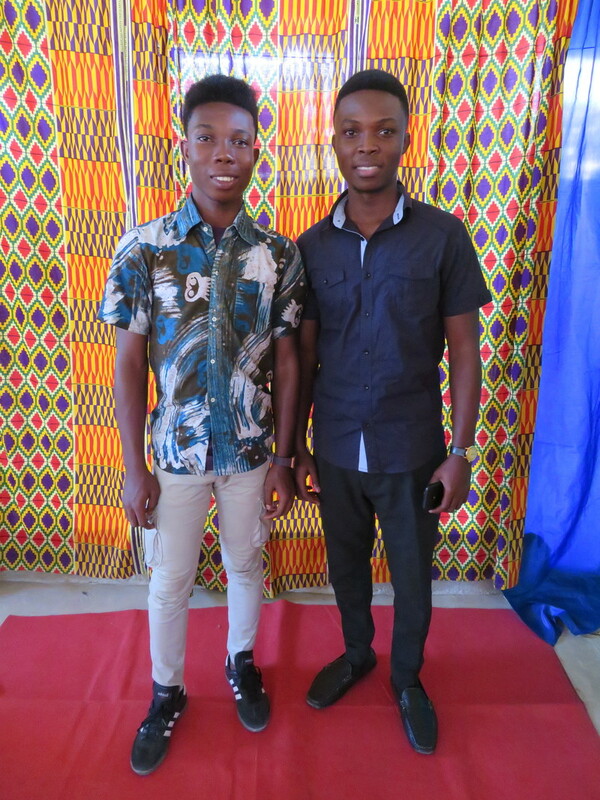 The first community served by the Ghana Initiative was the hometown of Seth's father, Pokrom Nsabaa, located 30 miles northwest of the capital city of Accra. Ghana Initiative provides educational opportunities for children in poverty who display a keen interest in learning and bettering themselves through education. All of the recipients of Ghana Initiative Mobile Medical Mission sponsorship must meet high academic requirements and make a commitment to attend school on a regular basis. Children are selected for scholarships according to their financial need, their willingness to achieve high scores on their exams and their joy for learning. We want to see children and their families thrive and recognize that education is one of the most important keys to achieving this. Ghana Initiative MMM also provides yearly Bible School training for children in the towns and villages where we set up our medical clinic. Bible School lasts for one week and is fun, interesting and provides a means by which we can spread the Good News of Jesus Christ to the young people of Ghana. Our long term goal is to open a missionary training center in Pokrom Nsaaba, Ghana. This will be a place where men and women in Christ will go to learn about missions and develop a ministry, through which they will be able to spread the Word of God to their own people and to the nations. By serving the people of Ghana in practical ways we can gain their trust and discover leaders in the community. We will be looking for a core group of local leaders numbering 3 to 8 to disciple and train so they might spread the good news of Jesus Christ to others in their community. As these local leaders mature, they will disciple others using the Word of God as their foundation and eventually give birth to a new and thriving church in their community. Our job is to plant seeds of life in each community we serve and watch as God makes them grow. Glen served the ministry with his gifts for strategic design and development. Glen used his years of experience in church leadership, coaching leaders, cross cultural ministry and training to bring life to the Ghana Initiative. Seth serves as the primary vision carrier and director of Ghana Initiative. Seth is a native to Ghana and carries a strong desire to serve the people there. He wants to see the transforming power of Jesus Christ take hold in Ghana. We would like to thank Compassion International, Ghana, for their guidance and support. They continue to support our mission teams with logistical assistance and translation services. For anyone wishing to know more about Compassion International and the ministry they provide, please visit www.compassion.com. ​​We also thank Reverend, Dr. Charles Otchere-Baffour of Jesus Camp and his wife Lawrencia for their assistance and prayers. Charles, Lawrencia and their church family welcome our teams with open arms into their place of worship. ​We are blessed by the efforts of team member and brother, Bernardine Ansah Asare. Bernardine serves as the Outreach Coordinator for Ghana Initiative MMM in Ghana. He makes it possible for work to continue in Ghana when US team members have returned home. Our relationship with Bernardine is invaluable! His personal slogan is, "For God and Country!" He truly lives by this slogan. Team member Daniel Senoo volunteers his services as a Biological Scientist to the ministry of Ghana Initiative MMM. He brings with him, knowledge and skills that enable us to diagnose and treat various illnesses that would otherwise be impossible for our doctors and nurses. Daniel has a real heart for his people, and a spirit of generosity. He is empathetic to the needs of others. Ghana Initiative MMM now partners with medical professionals from Ghana. Caring doctors, nurses and pharmacists from various regions across Ghana have joined our team to work side by side with our US medical volunteers. This is an answer to prayer and fits well with the vision and mission of Ghana Initiative MMM. The individuals who joined us in 2018 are, from left to right, Dr. Richard, Pharmacist Diamond, Nurse Sandra and Nurse Mavis. In addition to our professional volunteers, we have team members who consistently volunteer their time and skills to serve the needy in or near their own communities. They serve along side the team members from the USA. They are Samuel Afful, Emmanuel Afful, Emmanuel Klottey and Nathaniel Klottey. We are proud to have them as Ghana Initiative MMM team members.